From MaiTaiTom’s Kitchen baby! Every great chef has his or her Signature Dish. I’m not a great chef nor do I play one on TV, but this is my Signature Dessert, and the reason is that it is so damned easy to make. I’m nothing if not lazy. With so little effort, this dessert is so incredibly delicious. 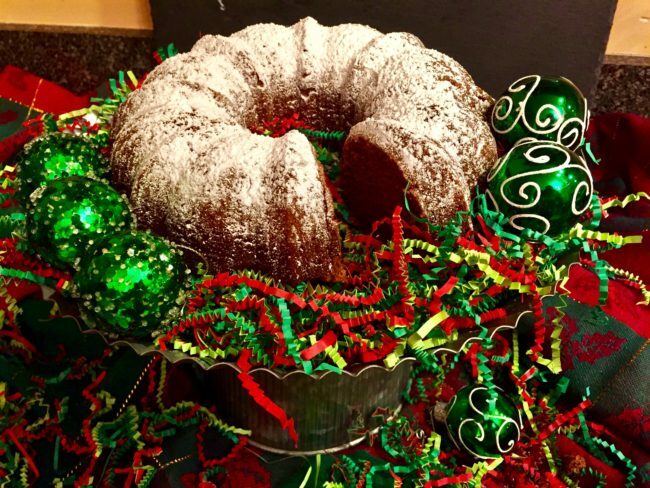 I was given this recipe in 1981 from Cynthia Salcido (Cynthia, wherever you are…thanks). 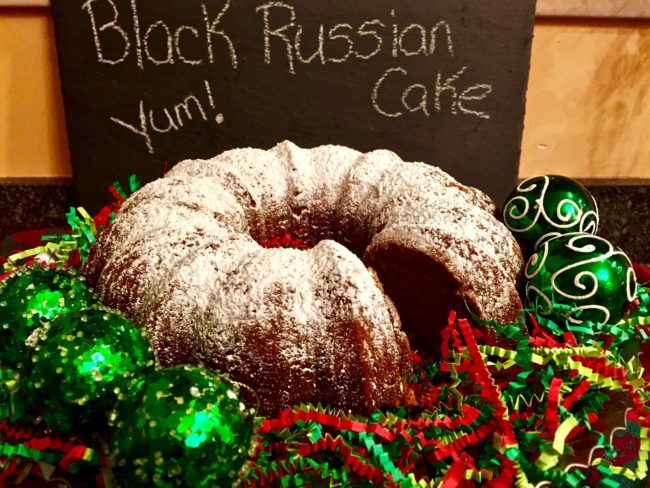 In looking online, I see many Black Russian Cake recipes that only include 1/4 cup of Kahlua and 1/4 quarter cup of vodka. They also include 3/4 cups of water. Well, my thought is if you have to put in that extra liquid, just add more Kahlua and vodka, which is why I have a 1/2 cup of each. It’s moist and delicious, but do not eat this near an open flame! Combine all the ingredients in a mixing bowl and use your hand mixer to make a batter that contains no lumps. Reduce heat to 350 and cook for 30 minutes more. Might take a few more minutes depending on your oven, but it’s good to check at this point. Cool. Remove from pan. Sprinkle with Powdered Sugar or just eat as is.